Amazon Closes Year With 266% Alexa Skill Growth in U.S.
Voicebot was the first to report right before CES 2017 that Amazon had reached a new milestone with 7,053 Alexa skills for U.S. users. Since that time Amazon Alexa skills grew 266% to start 2018 at 25,784 in the U.S. Alexa skill growth has also risen quickly in the UK and Germany. Amazon Echo became widely available in the UK and Germany in February 2017 and we started reporting on those totals in March. Since March 2017, the UK Alexa skill count has risen 107% from 4,332 while it grew 367% in Germany from a base of 667. What Will Drive Alexa Skill Growth in 2018? Alexa for Business – many business applications will be developed in 2018 for the first time. Games and Media – many more games and media will join the Alexa ecosystem in 2018 as monetization models become generally available. 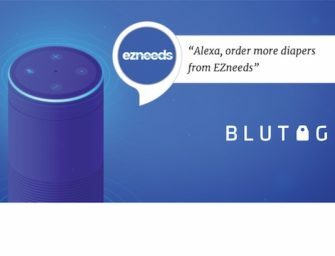 Brands – the rapid growth in smart speaker adoption and voice assistants in general make it an important new channel for every brand to establish a presence. They cannot afford to miss consumer interactions entirely on this important new consumer channel. What do you think will drive Alexa skill development in 2018? Will it grow fast or contract? Let me know on Twitter.